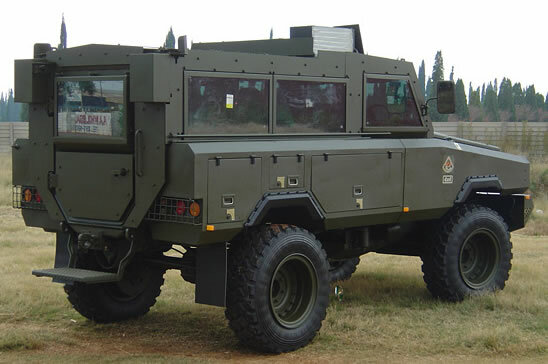 The South African Mamba Series is a wheeled Armoured Personnel Carrier developed and manufactured from 1995 by the former TFM Industries defense systems of South Africa and was initially built for the South African National Defence Force (SANDF). 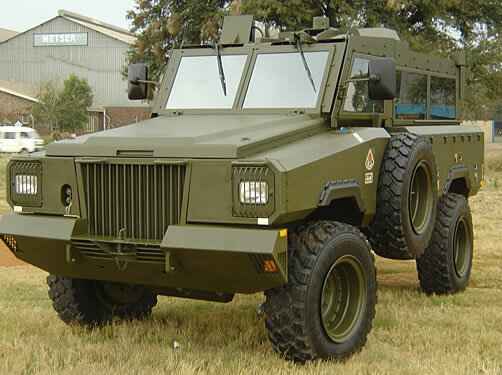 however following South Africa’s first post-apartheid national elections in 1994 and the adoption of a new constitution, South Africa’s re admittance to the international arena saw the vehicle sold to a significant number of other nations, notably the UN who purchased the vehicle for peacekeeping operations in Angola, Bosnia, Kosovo and Sudan. The vehicle was so popular due to its V-Shaped hull which provided protection against mines of up to 7 kilograms (15 lb). A roof hatch allows a gunner to use the weapon mount, which can be equipped with a 12.7 mm machine gun. A large door at the rear of the vehicle provides access to the passengers and crew. The vehicle uses a number of components of the German UNIMOG. Mamba Mk1 – Original 2×4 (Over 500 built by TFM Industries later becomes Reumech OMC). Mamba Mk2 – 4×4 Improved production version with a 4-speed transmission and ballistic protection against 5.56mm MG fire (built by TFM). Mamba Mk3 – 4×4 version fitted with Mercedes Benz 312N engine with a 8-speed transmission and ballistic protection against 7.62mm MG fire (built by Alvis OMC). In 1997 Reumech OMC (a division of Reunert) acquired TFM Industries defense systems. In 1999 Reumech OMC was purchased and renamed as Vickers OMC. This continued until British firm Alvis, purchased Vickers’ defence division, including OMC. Continuing with tradition, Alvis renamed the company to Alvis OMC. In 2004, Alvis OMC was sold to BAE Systems. The vehicle is no longer manufactured, with production being swapped to the RG-31 Nyala.